PYPS for Synod of Southwestern Ontario . 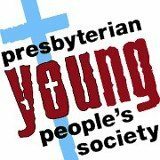 Gifts to Presbyterians Sharing help fund the three theological colleges in Canada that graduate candidates for ordination in The Presbyterian Church in Canada. St. Andrew’s Hall is located in Vancouver. Knox College is located in Toronto. The Presbyterian College is located in Montreal. St. Andrew’s Hall is home to faculty and staff engaged in theological education who are committed to preparing generous, thoughtful and engaged Christian leaders for the world. 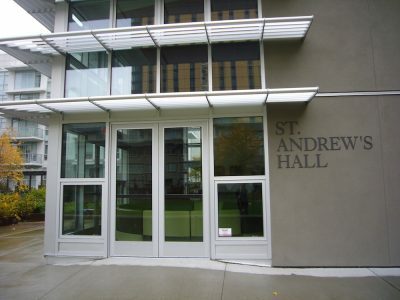 St. Andrew’s Hall exercises its teaching charter through the Vancouver School of Theology. Several programs are offered every year for those who are seeking ordination to ministry, are enquirers, desire a deepening of faith, or in other ways are seeking a degree program in theology. Knox College is a postgraduate theological college located in the heart of the University of Toronto. For 170 years, Knox has been a progressive leader in Reformed theological education in Canada, offering programs for laity and those preparing to serve the church in ministry. 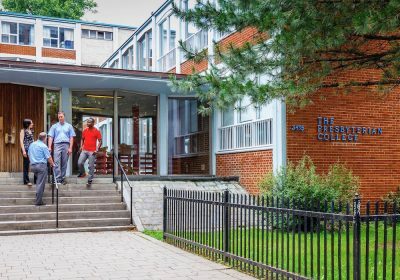 Knox is a founding partner in the Toronto School of Theology, one of North America’s largest ecumenical consortia. Founded in 1865, The Presbyterian College is a centre of theological education and research. 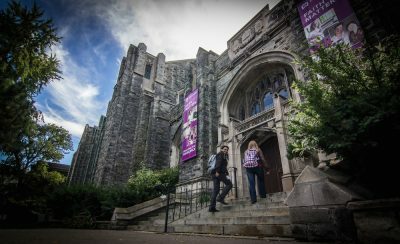 Students benefit from an ecumenical arrangement as part of the Montreal School of Theology, a consortium of three theological colleges: Diocesan College (Anglican), The Presbyterian College, and the United Theological College. Students with the requisite gifts, abilities, and call prepare for various forms of Christian ministry.